Ha Long Bay (Vietnamese: Vịnh Hạ Long, IPA: [vînˀ hâːˀ lawŋm] ( listen)) is a UNESCO World Heritage Site and popular travel destination in Quang Ninh Province, Vietnam. Administratively, the bay belongs to Ha Long City, Cam Pha City, and is a part of Van Don District. The bay features thousands of limestone karsts and isles in various shapes and sizes. 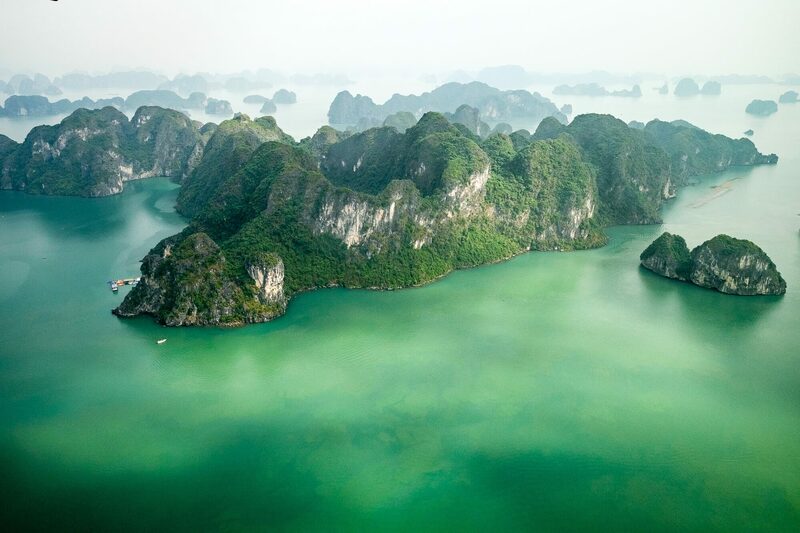 Ha Long Bay is a center of a larger zone which includes Bai Tu Long Bay to the northeast, and Cat Ba Island to the southwest. These larger zones share a similar geological, geographical, geomorphological, climate, and cultural characters.